Plenty of websites get frequently contaminated with malware every day. Plenty of websites get frequently contaminated with malware every day. What are the types that come to mind? Those that shell you with unstoppable pop-up ads, isn’t it? Let us give you a true picture. It is not only confined to those with annoying pop-up ads but regular websites as well. Do not make the mistake of perceiving authentic e-commerce websites as being free from malware attack. Nowadays, most legitimate websites, about 78% of them, bear potential risk to get infected with malicious viruses. And such malicious software harm websites along with the visitors as well. WordPress websites are also susceptible to such attacks. You can stop such malware invasion before it inflicts something major by inspecting certain signs. Only the best Website virus removal services can attend to the problems entirely. Lay your WordPress website’s security concerns on our esteemed hands and get the best assistance. 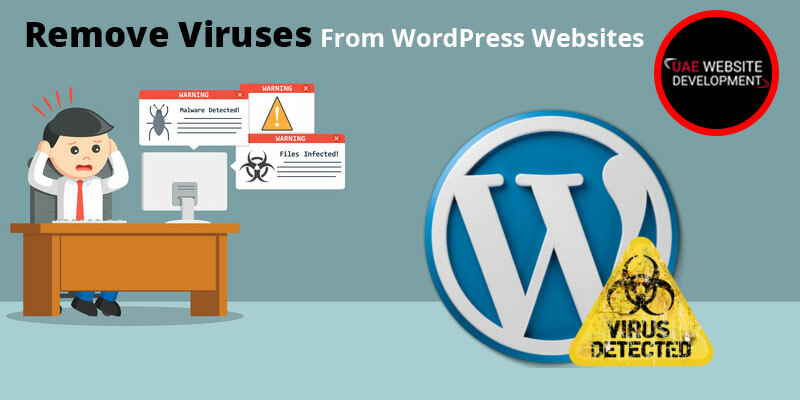 Brilliant WordPress malware removal services conduct a successful decontamination operation that cleanses the website from malicious objects comprehensively. Hence, trust us for the best services altogether! Our website virus removal services stand distinct from several other agencies that claim to perform the same. Most of the similar websites just conduct the prime function without covering the prior security function. This heightens the chance of another virus attack. Thus, most services are incompetent and conduct an apparently half-hearted procedure to treat the site. But, powerful and brilliant agencies also cater to your website’s security. Yes, after eliminating the viruses, we also tighten the security aspects of your website restricting entry for foreign bodies. However, listed here are the exclusive features that our company’s proficient experts serve you with. The initial step in removing a malware-inflicted website of WordPress is to conduct server level scanning sessions to determine how the virus invaded initially. We scan each and every WordPress file beginning from core files to plugins as well as the themes to detect malicious codes. This involves a vulnerability scan too. Most services skip this portion which makes all your investment in virus removal a complete waste. Yes, if all the backdoors are not looked after, you end up investing more and more to remove the frequently appearing viruses in your WordPress website. After eliminating malicious codes, security experts conduct several tasks to erase and remove backdoors. Thereby, they deploy 100% security to your WordPress website. This is an essential step which works as a finishing touch to the accomplished task. Disinfecting a website is incomplete if you do not run a security check thoroughly. Also, this demands you to tighten and harden the security of your website. Without this, another future attack is possible. We consider taking the websites’ current security standards as one of the major reasons for the invasion. Hence, we tend to update the security of the website entirely in order to restrict further malicious attacks. Identifying the contaminated files once leads us to proceed the session of eliminating malicious code as well as content. Then, we conduct a website-wide repair of the WordPress files. According to the requirement, we also install a fresh WordPress copy and restore the website to default. We eliminate and remove all the vulnerable plugins and substitute them with the new ones. In case the search engines already recognized malware in your WordPress site, we notify Google-alike popular search engines to expedite the elimination of warning signals. Thanks to the advanced in-house tools that we employ after performing an absolute malware cleansing. We arrange a descriptive report for each and every malware elimination report accompanied with comprehensive security. The record signifies and points out the clean files along with all our virus removal services’ protection standards. Security for any of your creation is the initial aspect that you must take care of. And when it comes to websites, you must employ tougher security standards. The world wide web holds several skilled malignant hackers who practice phishing and cybercrime. Such a dimension holds huge loopholes which cybercriminals exploit easily. Hence, strict security rules are key. And for protecting your website from further malicious invasions, you must hire the best WordPress website virus removal services. Our arresting, as well as prompt services, are sure to create a powerful bond between organizations of client and service provider. Hence, buzz us at our official helpline at 042053349 to clarify your doubts and discuss business. The professionals are sure to assist you all throughout and render utmost satisfaction.